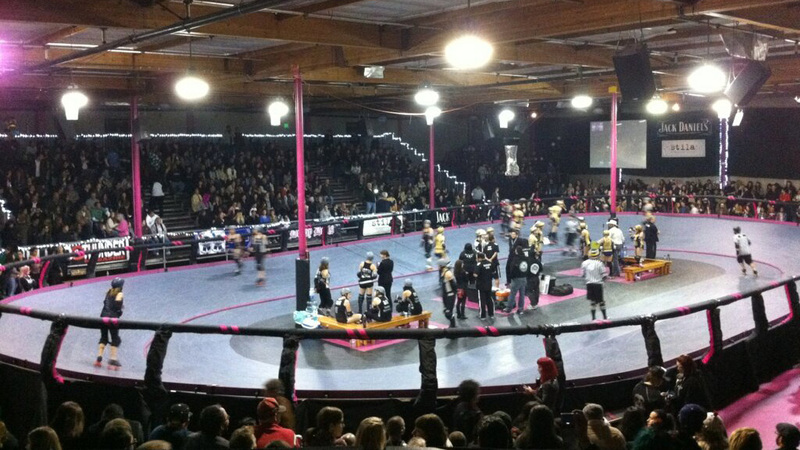 The L.A. Derby Dolls "temporarily" shut down as its search for a new home continues. In a letter posted to its website, the L.A. Derby Dolls announced that its long-time home, the Doll Factory, will be closing, and that interim league operations will focus on relocating and restructuring. 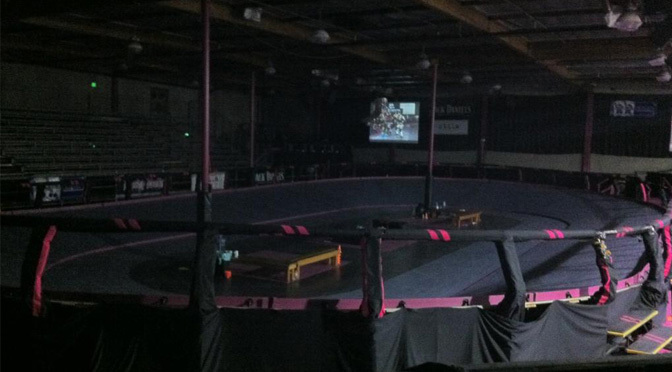 The largest and most recognizable banked track roller derby league in the world, the Derby Dolls have known for more than a year that their warehouse just outside of downtown Los Angeles was slated for demolition, to make way for a new development. After raising well over $100,000 in the most successful derby crowdfunding campaign ever to help expedite a move, it was hoped that replacement a facility could be secured quickly, as to minimize league downtime. “Unfortunately, given the current real estate market, it has been exceptionally difficult to find a location that meets our current needs as an organization,” the letter states. “We have some leads on a couple of great places and are confident that we’ll be moving to our new home soon, but at this time we need to close our doors to focus on restructuring the league. Home to the most famous banked track of the modern era, the Derby Dolls finally settled in the Doll Factory in 2007 after previously relying on parking lots, rodeo arenas, and even rooftops to stage bouts. Over the next seven-plus years, the former ice cream warehouse was transformed into the 24/7 roller derby paradise that skaters from around the world have made pilgrimage to to play in interleague contests, for the annual March Radness training camp, to participate in one of two Battle on the Bank tournaments hosted there, or just to take in the experience as a spectator during a game. The LADD Ri-ettes and the Arizona Derby Dames Hot Shots in an interleague game at the Doll Factory from February 2013. The Derby Dolls know that those things will continue to happen, just at another facility somewhere else in the Los Angeles area. But it is not currently known how close the league is to finalizing a deal on a new location, or just how brief its “brief” hiatus will be. The next public game on the Derby Dolls schedule was to be on January 24; for the time being, that and other future games appear to be in limbo. However, the game that turned out to be the finale for this Doll Factory was one that sent the place out with a bang. The last jams of the game—and unbeknownst to the fans at the time, the last jams of the Doll Factory—decided who would skate away with the L.A. Derby Dolls Championship. In a 133-130 win for the Sirens over the defending champion Tough Cookies, the venue’s largest crowd in years1 reached a level of pandemonium that the track-side risers and bleachers could barely contain. 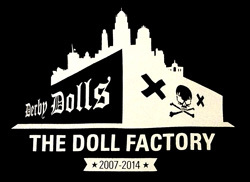 Here’s hoping that that the new Doll Factory will be just as incredible as the old one. Working the parking lots as a league volunteer for the L.A. Derby Dolls, I’ve gotten a first-hand account of the attendance level for games over the last five years. Until this year, it had been steadily falling. After a ticket price drop, attendance saw a noticeable boost. For Champs, we had to open up our third parking lot, the first time we did that in a very, very long time.